With the revolving-door slate of deals making it tough to keep track of what's coming and going on Netflix each month, we're here to help you catch some movies and shows you may have had on your list before they leave the service and become a lot harder to find. The beloved animated series "Star Wars: The Clone Wars" is leaving April 7, continuing the chain of Disney-produced shows leaving the platform, as the House of Mouse prepares to launch its own Disney+ service later this year. 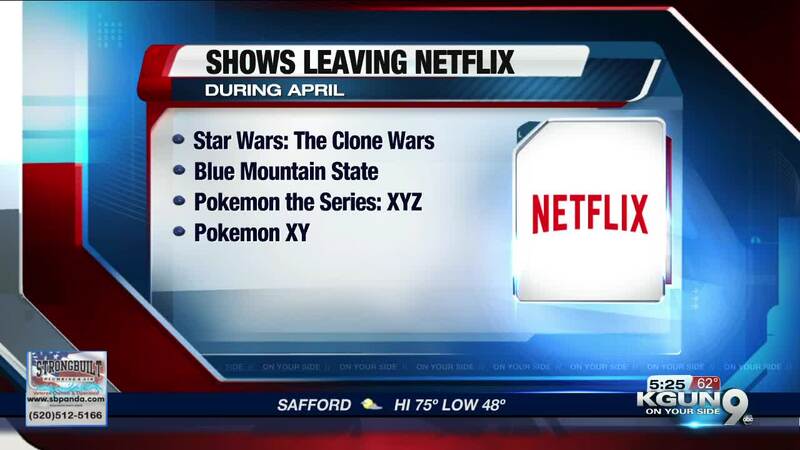 Also leaving is "Blue Mountain State." The sitcom centered around a small school's football program. Two "Pokemon" series are also on the way out.